Since Tracy Morgan finished his physical rehabilitation stint after his tragic June 14 car accident, he’s been busy. He recently wrapped the comedy Fist Fight with Ice Cube and Charlie Day, he’s currently on a standup comedy tour called Picking Up The Pieces, and will portray Redd Foxx in the upcoming Richard Pryor biopic, Richard Pryor: Is It Something I Said?, starring Mike Epps as Pryor. 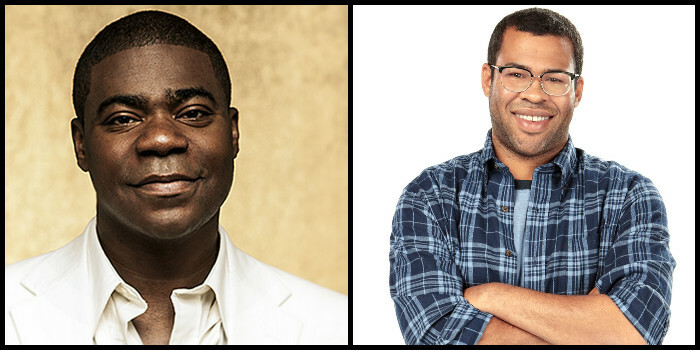 Now comes the announcement that Morgan has teamed up with Jordan Peele (of Key & Peele) for a new comedy on FX. The currently untitled comedy would star Morgan as a “a career criminal (Morgan) who is released from prison after 15 long years, hoping to reintegrate into a society that long ago left him behind. Now a man whose only expertise is making grilled cheese with an iron must navigate a modern world of political correctness, the Internet, and self-driving cars,” according to Deadline. Production is set to begin this summer with a possible fall debut.